In the early stages of her career, Ann Quiroz Gates felt how many other students of underrepresented groups often feel – not sure she would be able to receive an advanced degree in computing. Over time, her confidence increased; she earned her Ph.D. and has committed to making sure others also succeed in the computing field. Ann is currently chair of the Computer Science Department at the University of Texas at El Paso (UTEP) and the 2015 recipient of the 2015 CRA A. Nico Habermann Award. The award recognizes a person who has made outstanding contributions aimed at increasing the numbers and successes of underrepresented members in the computing research community. I spoke to Ann about what has made her so passionate about increasing diversity in computing. As a student, Ann remembers attending a talk by a NSF program director who described the low numbers of women, Hispanics, and other minorities in computing. It was a pivotal moment for her, and she was inspired to take action – starting with herself. She received a fellowship to support her Ph.D. studies and at the same time was offered a position at IBM. Ann turned down the job in order to complete her Ph.D., and since then, she has been focused on increasing the involvement of undergraduates in research and building their confidence so they feel they can succeed. 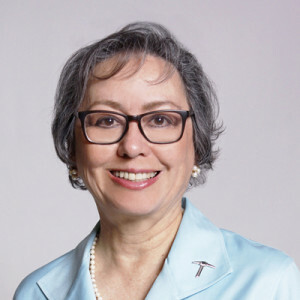 Ann helped establish the Affinity Research Group model for research mentoring and peer support and leads the Computing Alliance of Hispanic-Serving Institutions. Through an NSF ADVANCE program, she has also promoted the recruitment, retention, and advancement of female faculty at UTEP. Ann has greatly enabled the success of many students through her personal mentoring of over 150 Hispanic students and research supervision of over 70 students. The biggest challenge to the diversity initiatives she has worked on was securing the time investment that is often required. From an administrative point of view, her advice for others trying to increase diversity at their institutions is to hire people who are passionate about making a difference and have a core value centered on student success. Since winning the Habermann Award earlier this year, she was recently recognized as a 2015 HENAAC Award Winner. 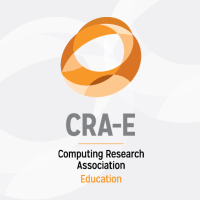 The Computing Research Association is currently accepting nominations for the 2016 A. Nico Habermann Award. Nominate someone who is making a difference in increasing diversity in computing today!